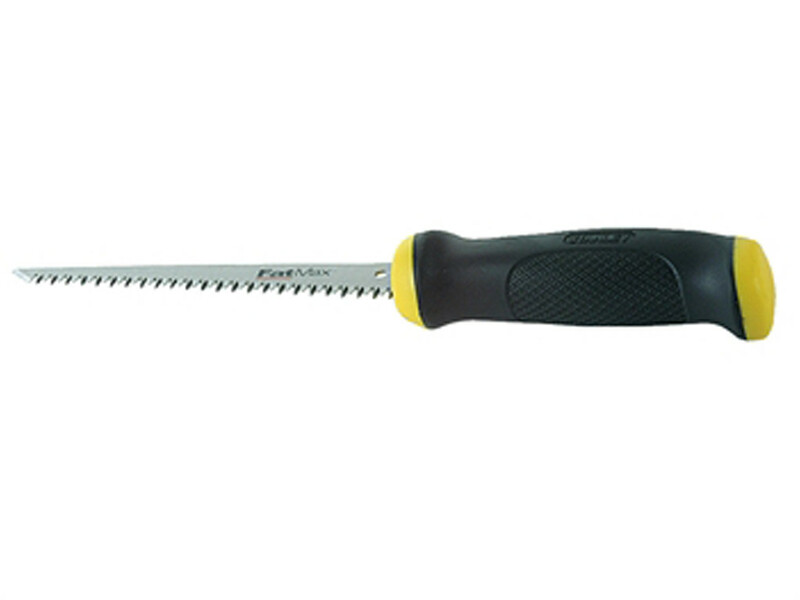 Jab Saw and Scabbard has a hardened and tempered blade for durability and long life. Jab Saw and Scabbard has a hardened and tempered blade for durability and long life. The moulded, anti-slip handle combines a high impact plastic and soft touch inserts for improved comfort and control, and the large smooth end pad facilitates pushing and twisting the blade through plasterboard. The saw has a sharp point for piercing board and aggressive, triple bevel teeth for a faster cleaner cut. Excellent for wood, plastic and drywall cutting. Length: 150mm (6 inches). Teeth 7 TPI (teeth per inch).